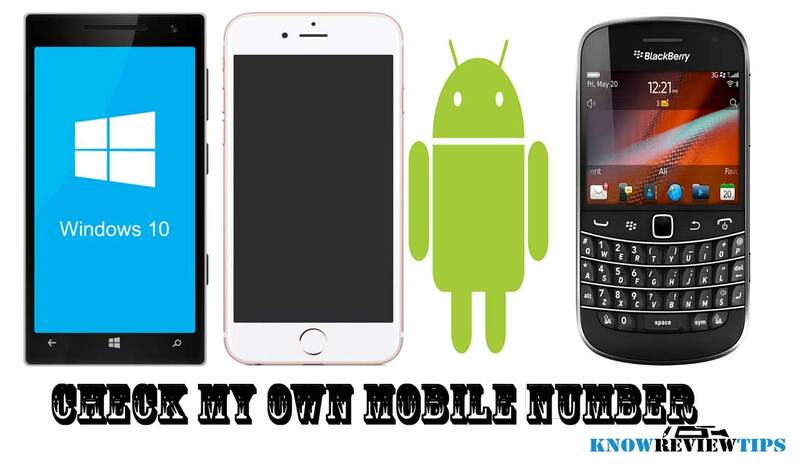 Here’s the tutorial on, how you can find / check your own (my) mobile phone number in Android, Apple iPhone, Blackberry and Windows Phone. If you have forgotten your mobile number there are different ways to check your mobile no, even without prepaid balance. You can also find mobile no / SIM card number using USSD codes. Below are some ways to find out the mobile phone number in Android phones, iPhones and Windows Phones. If you are unable to find your mobile number using the above methods or you have Nokia Symbian, Tizen, WAP enabled phone. You can find or check your mobile phone number using USSD codes. You might find UNKNOW in place of your mobile number if your cellular network provider won’t support it. You can also call your cellular operator ( customer care) to know your cell phone no. If there is Balance in your prepaid account or from your postpaid no you can call to another number, may be to your friend, cousin ( whomsoever is close to you). Let us know if you find it useful.